Some of us remember Ron Brewster as the fresh-faced 17-year-old kid with the spikey mullet arriving at YWAM Lakeside, Montana, in 1987 to enter his Discipleship Training School (DTS). We had no idea Ron would turn out to be a YWAM “lifer” (except for a brief stint as the college and admin pastor of a Foursquare church in Roseburg, Oregon). Nor did we dream he would one day be tapped to direct the YWAM Lakeside campus (2002-2010). What we know for sure now is that Ron was—and very much is—a gifted leader/administrator with a clear eye for making whatever he oversees run like clockwork, while encouraging fellow volunteers to reach their fullest potential in their service to Jesus. 1) A Master’s of Arts in Leadership. 4) Five years as managing director of YWAM San Diego/Baja. 5) A stint as an MBI corporate board member. 6) Current positions with five different YWAM corporate boards. It all adds up to a high level of vision, dedication, and expertise. Can you see why we were excited when Ron called last December to let us know that, yes, he was now ready to step into an MBI leadership role? Not only will Ron be taking MBI’s volunteer development ministry to the next level, but he is bringing three significant, intentional service ministries under the YWAM Mission Builders International umbrella, each one designed to be a resource for YWAM locations all over the world. Perhaps the most noteworthy addition Ron brings to MBI is Jeanette—his wife of 24 years (as they say, “behind every good man…”). Jeanette has her own impressive history of YWAM and ministry experience: A DTS at YWAM Lakeside in 1990 followed by positions that included DTS staff, Schools Registrar, work in or management of various departments, and 12 years as a member of YWAM Lakeside’s leadership council. Her interest in serving others also led her to join the Debriefing ministry long-term, beginning in 2009. Ron and Jeanette have two treasured “responsibilities”: their nineteen-year-old daughter Meraiah (away at university) and 15-year-old son Sebastian. 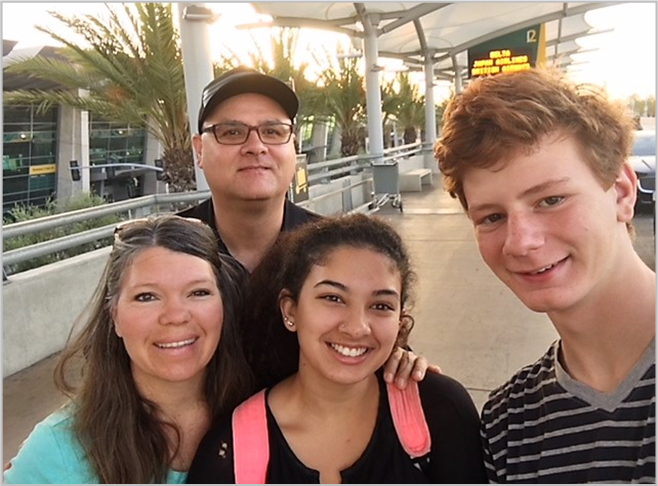 We’re pleased to have the Brewster family aboard, and we’re looking forward to the pleasure of seeing MBI grow into fullness and maturity as Ron applies his characteristic enthusiasm and wisdom. Stay tuned (yes, the best is yet to come)! Looking forward to a fantastic 2019 for all of you!